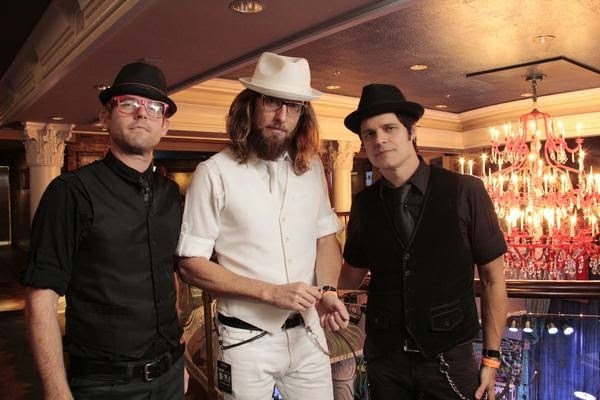 Kirk Barkley, Memphis Jones, and Michael Stoker at Hard Rock Cafe. Photo credit: Memphis Business Journal. Memphis Jones and Co. step out on the Red Carpet for the Hard Rock Cafe Beale St. Grand Opening Hard Rock Cafe in Memphis has re-opened at its new location in the famed Lansky's building where the Million Dollar Quartet shopped! Memphis Jones talks Million Dollar Quartet at Sun Studios. The VIP Grand Opening Event included performances by one of the first funk bands in history, the Bar-Kays, celebrating their 50th anniversary together, and Memphis Jones, an appearance by Mayor A.C. Wharton as well as a guitar smash on world famous Beale Street. One guitar was smashed for each year Hard Rock Cafe has enjoyed the hospitality of Memphis, Tennesse. Other VIPs included President & CEO Hammish Dodds, who presented the new Memphis Music Hall of Fame with a check for $10K donation on behalf of Hard Rock Int., the Memphis Music Commission, Keary Jordon of Gibson Guitars and Fox13's Emmy winning meteorologist, Joey Sulipeck. 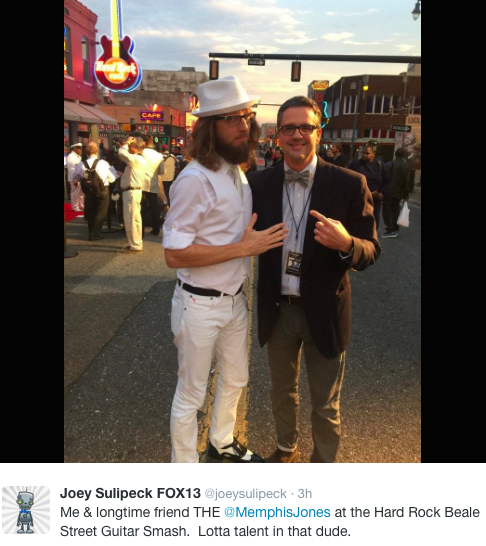 MJ with Memphians' favorite TV personality (and Elvis fan! ), Joey Sulipeck. 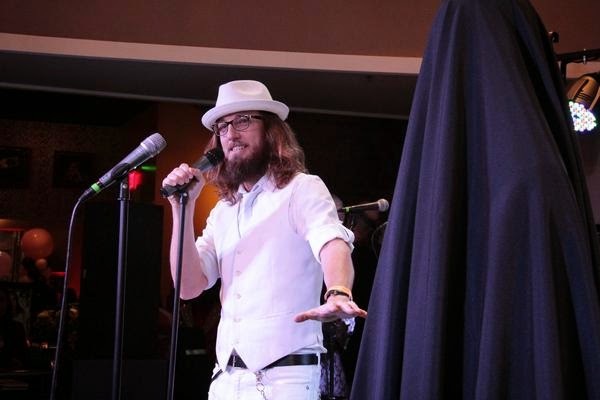 His closing performance at Hard Rock had the crowd on their feet with his acclaimed Memphis Music Review! Celebrating Memphis music is what Memphis Jones does best and there's no better place to do it than on Beale Street, USA!